Foodborne illness remains a major problem for the United States, with recently published estimates from the Centers for Disease Control (CDC) suggesting that over 47 million foodborne disease cases, with over 125,000 hospitalizations and 3000 deaths, occur each year [http://wwwnc.cdc.gov/eid/article/17/1/P1-1101_article.htm]. Work done by the Emerging Pathogens Institute (EPI) at University of Florida further suggests that the cost of illness associated with the 14 leading foodborne pathogens is in the range of $14.1 billion per year, with loss of 61,000 quality-adjusted life years (QALYs)[http://www.epi.ufl.edu/?q=RankingTheRisks]. In 2010, Congress passed the Food Safety Modernization Act (FSMA)[http://www.fda.gov/food/foodsafety/fsma/default.htm], which was signed into law by President Obama on January 4, 2011. This landmark legislation updates and modernizes the regulatory approach to food safety in the United States, with a particular focus on the role of the U.S. Food and Drug Administration (FDA) in food protection. As part of FSMA, CDC was directed to create five Food Safety Centers of Excellence, to serve as a resource for local, state, and federal public health professionals in responding to outbreaks of foodborne illness. Each Center is designed as a partnership between a state health department and a University, with Centers located in Florida, Minnesota, Colorado, Oregon, and Tennessee. The Florida Food Safety Center of Excellence builds on a strong statewide program in foodborne illness at the Florida Department of Health (FDOH), working in collaboration with the University of Florida’s Emerging Pathogens Institute, College of Public Health and Health Professions, and Institute for Food and Agricultural Sciences and College of Agriculture and Life Sciences. The Center will also include links with the Florida Department of Agriculture and Consumer Services, and state health departments in Alabama, Georgia and the U.S. Virgin Islands, with a total population coverage of 33 million, representing approximately 9% of the U.S. population. Food safety is of major concern to the state of Florida, with its 18 million residents and 80.3 million tourist visits annually. Since 1994, FDOH has had a unique, nationally recognized, structure in place for food and waterborne disease surveillance and investigation with nine regional food and waterborne illness epidemiologists located throughout the state to assist 67 county health departments (CHDs) in the investigation of these outbreaks. The Florida Food and Waterborne Disease Program (FWDP) coordinates all aspects of outbreak investigations and also provides training and guidance in foodborne disease prevention and food safety at the county, regional, and state levels working in partnership with CHD teams composed of an environmental health professional, a nurse and an epidemiologist. The FWDP also collaborates closely with other agencies as well as professional organizations, community groups, industry, medical professionals, the general public, and the media, and provides policy development leadership at the local, state and national levels. This inter-disciplinary approach is necessary in Florida where seven agencies regulate food establishments. This state funded program has investigated over 3,600 outbreaks affecting over 30,000 people including multiple outbreaks of national and international scientific and media interest. The FWDP program also monitors and assists with the response to 2,000-4,000 foodborne illness complaints received annually by CHDs from a variety of surveillance sources. The strengths in outbreak investigation at the FDOH are complemented by strong research and education programs in food safety at the University of Florida (UF). Founded in 1853, UF is the leading research University in the state of Florida, with over $675 million in annual research funding. UF has 16 colleges with over 50,000 students and 3,000 faculty on its 2,000 acre campus in Gainesville: of particular relevance to food safety, this includes Colleges of Public Health and Health Professions; Medicine; Veterinary Medicine; and Agriculture and Life Sciences. UF is also the home for the Emerging Pathogens Institute (EPI), a free-standing interdisciplinary research institute, focusing on infectious diseases and emerging pathogens. 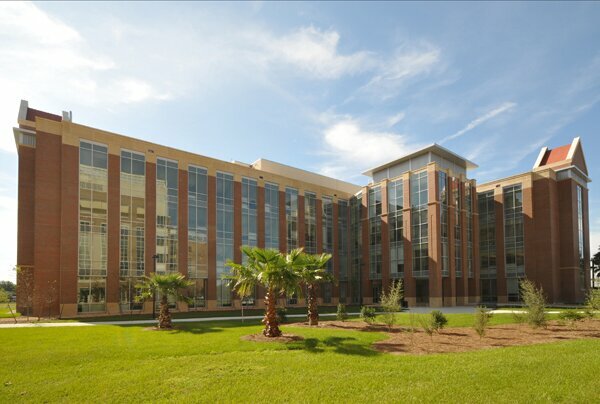 The Institute was established in 2006, and is housed in a newly completed 100,000 square foot dedicated research facility. EPI has over 200 affiliated faculty, drawn from 10 UF Colleges, whose interests range from very basic molecular genetic studies to work on pathogenesis, transmission and environmental survival, and development of strategies for community-based disease prevention. EPI has been a leader nationally in food safety research, with funding from USDA, Robert Woods Johnson Foundation, and Pew Charitable Trust.